Performance enhancement is the product of practicing the skills involved in the sport, strengthening the muscles and preparing the appropriate energy systems. 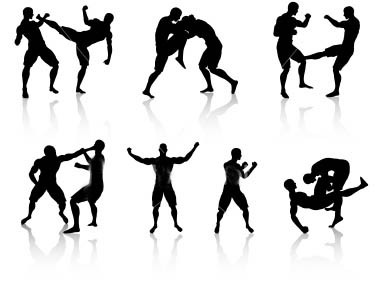 This basic strength program for MMA was designed to strengthen the entire body as one functional unit in the safest manner possible thus improving performance and helping to prevent injury. There are a variety of approaches and schools of thought on strength and conditioning, and the methods I recommend are just one approach. I have already developed a basic Combat Sports conditioning program (see TAKU’s Intervals). This article is going to focus only on the “strength” portion of the athletes overall Strength and Conditioning preparation. Remember, these are recommendations for a basic strength training program for MMA. This approach may at first appear far too simple. However, for most athletes (even those who are considered “advanced) sticking with the basics as a foundation to build from, is usually best. I hope you will give these ideas a try before you dismiss them. I of course encourage athletes and coaches to keep an active mind in determining what works best for them; in other words if it does not seem to work, find out what does and do it. The best way to truly know what is working is to keep very accurate records of all program variables as well as the athletes response to how these variable are manipulated. Some of the program variables that should be tracked regularly include; volume, frequency, intensity, and duration of training bouts. The athlete’s response to the training variables is tracked by monitoring closely for both physiological and psychological signs of over training* which may include but are not limited to: a decreased eagerness to train, a decrease in performance, a gradual increase in muscular soreness from training session to training session, as well as an increased resting heart rate. With that being stated, I recommend a low-volume high-intensity approach to strength training for the MMA athlete. The first program I recommend is for an athlete who is in training, but is in an off-season mode; It is an abbreviated training’ method that requires the athlete to perform brief, intense exercises infrequently. The “In-season” program is used for the athlete who is within 6-8 weeks of a fight. This routine is very low-volume, thus allowing for maximal efficiency so that an athlete will be able to maintain strength while allowing time to condition for the demands of an up-coming fight. If the recommended exercise can not be performed due to equipment limitations, contact me for alternatives. *See my article on over training for more information on this important topic. 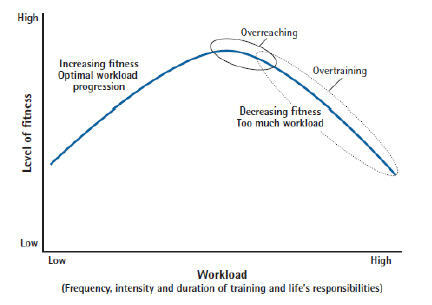 **Reps recommended are guidelines however all work sets should be taken to a point of volitional fatigue. If the recommended rep range is far exceeded, increase weight by 5-10% next session. © 2006-2009 HybridFitness.tv. All Rights Reserved. Reproduction without permission prohibited. 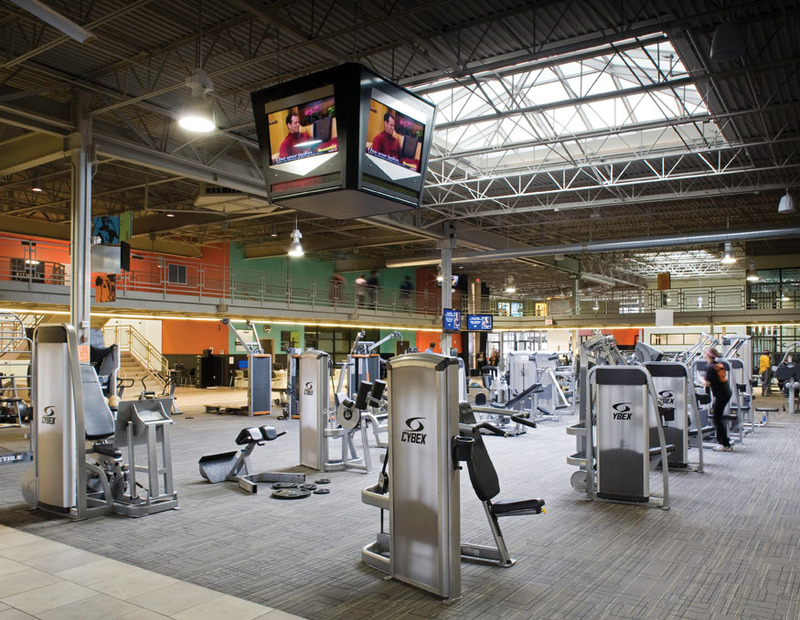 In the past few years I’ve seen a huge transition in the fitness industry. More and more people are using functional training and some argue it’s the only way to train. The purpose of this article is to give people an understanding of what functional training is and what it does and does not do. Based on that definition, you can draw many conclusions as to what is functional. Depending upon who you ask, you will most likely get a diverse variety of responses as to what is functional. All human movement is a combination of various functions. Human movement cannot take place without muscular function. According to the functional training “experts”, functional training uses bands, balls, free-weights, and plyometric exercises in an attempt to condition the body in an unstable environment. Many of the experts feel that performing exercises that mimic activities or specific skills is the most effective way to train, regardless of ones goal. What is the safest, most efficient and effective way to optimize human performance? Let’s take a look at each factor and determine which training methods are going to deliver optimal results. By optimal results, I mean the greatest amount of improvement, with the least amount of risk and in the shortest amount of time. What is the most effective method of increasing strength and/or muscle tissue? In my opinion, High Intensity Strength Training is the most productive, safe and time efficient approach available. I am not stating that one set of each exercise is the best choice. My definition of High Intensity Training is: training to momentary muscular failure, with brief and infrequent workouts in which all variables are prescribed based on the individuals: goals, age, current fitness level, fiber types, personal preference and past experience. The purpose of strength training is to increase strength and lean body mass, NOT for training a specific skill or movement – that’s called practice! People strength train for many reasons and there are many methods that work. For years, many trainers and coaches have had their clients and athletes perform Olympic lifts because they feel it will transfer over into the performance of their skill. Numerous studies have shown that the neurological transfer of skills is not optimal unless the skill is practiced EXACTLY as it is performed in competition. Therefore, performing power cleans because you play football is NOT optimal. Performing power-cleans will only get you better at performing power-cleans! Focus on increasing strength and lean body mass and practice your skill exactly as it is performed during competition. Increasing the speed at which a skill is performed is another great way to improve power. 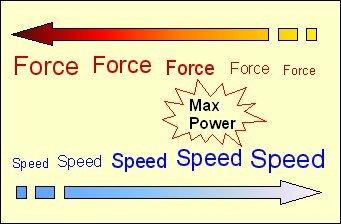 Speed is primarily predetermined by the individual’s genetic make up. However, that does not mean that you cannot improve speed by practicing the skill EXACTLY as it is performed in competition. A great deal of focus should be placed on perfecting the technique. By practicing the skill in this manner, you will improve neuromuscular efficiency, which will result in faster and more accurate performance. Increasing flexibility is another way to improve power. By increasing flexibility, you increase the distance that force is applied which results in an increase in power. The safest and most effective method to increase flexibility is by performing full range of motion exercises and incorporating a sound stretching routine. Increasing cardio/respiratory output and endurance is another factor that has a major impact on performance. This topic is one of such importance that it is beyond the scope of this article. In general, if you increase the individual’s cardiovascular and respiratory output and endurance, there will be a corresponding increase in performance. Cardiovascular training should also be specifically geared towards improving the individuals conditioning in the metabolic pathway in which they compete or perform. For example, someone who plays tennis should primarily train at a slow to moderate pace and incorporate bursts of high intensity effort. Interval training would be a good choice for this individual. Keep the training specific to the individual. This is an area in which there is a lot of confusion among many athletes, coaches and trainers. Skill acquisition and strength levels are two completely different things. Therefore, they should be trained separately and with different methods. In order to optimize the performance of a specific skill or movement, it needs to be practiced EXACTLY as it is performed in competition. It has been shown that each activity or movement has its own neuromuscular pathway and that just because a movement is similar does NOT mean there will be a positive transfer or carryover of skill. This is the factor that I have found to have the greatest impact on human performance. 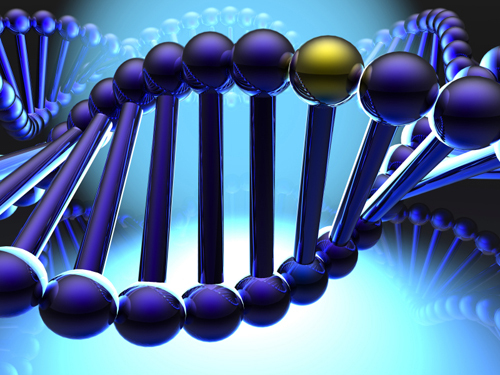 Genetic potential is something many people overlook. Regardless of what methods of training I use, I will never be a world-class marathoner. I can train twice a week or I can train 5 hours a day, it sill won’t change the fact that my body wasn’t designed to excel at endurance activities. I hear of too many coaches and trainers having people follow dangerous training programs in an attempt to drastically improve their performance. This is not to say that you cannot improve performance. When training yourself or a competitive athlete, always set realistic goals. As stated earlier, the best thing to do is utilize the most effective methods available and work hard! Most, if not all of the so-called functional exercises fail to supply constant and variable resistance. Most quality machines supply constant tension and variable resistance based on the strength curve of the particular muscle and track proper joint function. 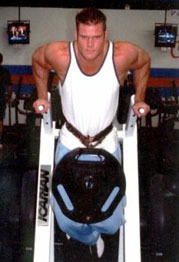 For example, compare dumbbell bicep curls on a Swiss ball to a bicep curl on a quality machine (such as Hammer Strength.) While performing the dumbbell curl, there is no tension on the biceps in the bottom or top positions. The resistance is greatest when the dumbbell is perpendicular to the floor. The amount of stimulus is also decreased due to the fact that the individual must balance his/her self on the ball. While using a machine, there is constant tension on the biceps and the amount of tension varies during the exercise based on the strength curve of the biceps muscle. Which is going to make the individual stronger? Which is going to stimulate more muscle fibers in the biceps? In my opinion, machine based training is by far superior if the goal is to increase strength and/or muscle tissue. Keep in mind that more muscle equates to a faster, stronger and better athlete, providing they practice their specific skill(s) or movement(s). This is not to say that functional exercises serve no purpose. There are benefits to functional exercise; just not as many as some people are lead to believe. Exercise selection and the training methods used should be based on the individual’s goals. Instances where functional training may be effective would be in individuals who need to improve balance, stability and neuromuscular coordination. Below is a chart that shows the differences between Functional Training and Machine Based Training. Functional training obviously has some benefit and can be a great addition to a well-designed strength program. However, I personally feel it should never take the place of a structured strength training routine. I recommend using a combination approach, which utilizes machines, free-weights, bodyweight, balls, bands and anything that is going to deliver the desired results. Always remember that training for strength and/or increases in muscle tissue and training for skill are two completely different things. When designing or assessing a training program, the following questions should be asked: What is the goal? Is it time efficient? Is it safe? Is it delivering the desired results? Is it optimal? Fartlek, meaning Speed Play, is a form of training that has been around for many years. Fartlek training was developed in the 1930s by Swedish coach Gosta Holmer (1891-1983). It was designed for the Swedish cross-country teams that had been thrashed throughout the 1920s by Paavo Nurmi and the Finns. Holmer’s plan used a faster-than-race pace and concentrated on both speed and endurance training. Fartlek training is essentially a form of Interval Training performed in an informal, unstructured manner. Fartlek sessions should ideally be done outside over natural terrain such as golf courses, trails or rolling fields. Because of it’s free-style nature and emphasis on fun, outdoor runs, Fartlek training can be psychologically stimulating in a positive manner. When properly executed Fartlek training has the ability to develop both general and specific endurance for a broad array of athletes including those participating in field games such as soccer, field hockey, Ultimate Frisbee, lacrosse, and rugby league, as it develops aerobic and anaerobic capacities which are both used in these sports. When implementing Fartlek sessions the pace should alternate between fast and slow with an emphasis on fast running. Outdoor Fartlek sessions are an excellent change of pace after being forced indoors during winter months or by bouts of inclement weather. Depending on how and when you cycle Fartlek runs into your current training regimen they may also act as a great form of active recovery. When designing a Fartlek training session you are limited only by your imagination and the terrain you have access to. Remember Fartlek is a free style form of training. Look at it as structured improvisation. Do not worry too much about the exact order of exercises or distances that you run. Just be sure to challenge yourself and work hard. Jog or jump rope for 5- 10 minutes as a warm-up. Run a half mile at a fast, steady pace (about 75% max speed). Perform three to four acceleration sprints of 150 yards (jog 50 yards, stride 50 yards, sprint 50 yards) walk 50 yards after each. Do four to six sprints of 20-50 yards, jogging 50 yards between each one. Jog a quarter-mile as a warm-down. *Example of calisthenic circuit: 30 seconds on 15 seconds off. So there you have it, a simple and flexible system which practically guarantees that you will never get bored. Give Fartlek training a try and I am sure you will see and feel the fitness benefits while enjoying some time outdoors with nature. One of the most inherent values of sleep is the concurrent breakdown of toxins in the cerebral spinal fluid that accumulate during waking hours. After 48 hours of sleep deprivation, test subjects have been found to display a significant long and short-term memory loss, and a reduction in their ability to reason and communicate effectively. All of these symptoms have been attributed in part to this build up of toxins in the cerebral spinal fluid during waking hours. It is also interesting to note that the rate of toxin build up in the cerebral spinal fluid is unique from individual to individual thus explaining the reason why some people can function effectively on less sleep than others. What exactly does that mean to us? Well, one thing it means is, we need to get enough sleep. You see, in our society we are pushed to the limits of our abilities on a daily basis. We need to work more hours and get less rest in order to “make ends meet”. This mentality, however, can cause us to function at much lower levels than where we should be. I understand the above quote as saying, if I don’t get enough sleep I am not going to function at near the capacity that I am potentially able. If I reduce my sleep to one hour less per night and that toxin build up is not completely removed, it will then accumulate. Over a period of time it will accumulate to levels that cause me to have short-term memory loss, poor communication skills and less ability to reason. That is not how I want to function in my daily personal and business activities. Sleep also restores our body’s energy supplies that we have used up during the course of our day. Some people require more sleep than others based on the amount and type of work they do. If you labor intensely you will require more sleep than someone who does mental work. Some people simply require more sleep than others. Teenagers, because of the hormonal changes that are going on in their bodies, require much more sleep than they did when they were children. Caffeine–Too much caffeine during the course of the day can affect a sound nights sleep. I personally had to reduce my caffeine intake drastically after I turned 40. I may have a cup of coffee before my workout but I never drink it on a daily basis. I don’t know why it was around that time of my life these changes needed to occur, it might have been hormone related. 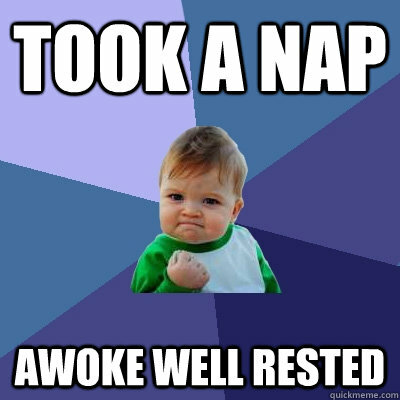 I do know that my sleep was affected and the subsequent reduction of caffeine made the difference. Consuming caffeine too late in the day can also affect your sleep. Caffeine consumption comes in more forms than just coffee, it is found in sodas, both diet and regular, it is found in chocolate and teas, both herbal and regular. A word of caution, dropping your caffeine intake can result in severe headaches. This is due to the blood flow restriction from lack of caffeine. It should go away in about 3-7 days. Stress–Stress debilitates your health, it’s that simple. Stress can take many forms: work, relationships, parenting, etc. You’re always going to have stress in your life, the key is, to control the amount that you have and to learn how to deal with it. 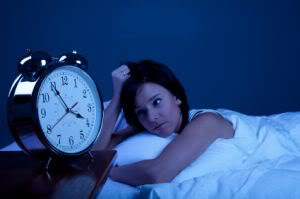 Develop a sleep pattern–Try to get to bed at the same time every night. Your body thrives on regularity. I know some people who have such a good sleep pattern that they don’t need an alarm clock to wake them. Keep your sleeping room free from distractions–Having your room dark and quiet will help insure a deep, sound sleep. If you sleep with the T.V. on, as some people do, your sleep will be affected. Get up–If you find yourself tossing and turning, it may be a good idea to get up and take a hot shower or read a book. When I toss and turn I find that I end up getting more frustrated and add to my inability to sleep. Use supplements if necessary–If you have trouble sleeping you can use some natural alternatives to help you get to sleep. Check with your local health food store for natural sleep aids. A point of interest is that exercise can improve the quality of sleep. Proper exercise can relieve stress and allow you to get a good night sleep. Another important aspect of your lifestyle change is rest. Taking some time to get away from the daily routine is essential for you to function at a high level of performance. When I talk about levels of performance I mean doing what you do in the best way you can, be it working or parenting and so on. The idea is simply for you to be the best you can be. So resting on a regular basis every day can help you. A lot of clients of mine do not take a lunch break; they just work and eat at their desk. It is so important not to do that. You need to get away from your work area and let your mind rest. This goes for every person reading this article. Take a short break away from your work once or twice per day if it is possible. I personally schedule a 5-10 nap in the middle of the day. This keeps me feeling refreshed and ready to take on the rest of the day. My wife does not like the short naps but prefers longer ones. Unfortunately she is not always afforded this luxury with work schedules and such. She does occasionally get a chance to get a break in her day, which she finds helpful as most of us do. Sleep and rest, most of us don’t get enough, some of us get too much but that is rare. Just find a happy balance for yourself and make it part of your lifestyle. If you ignore these important aspects of your life it can lead to undue stress! Go to bed an hour earlier than usual. Stop burning the candle at both ends. You will find that you feel better and your attitude will be brighter! TAKU’s NOTE: Thanks to my good friend Steve McKinney for this weeks article. For more info on Steve, click on his name at the top of this asrticle.